Someone – I forget who it was – once described dinosaurs as ‘the most American animals that ever lived’. Well, with all due respect to North America’s endemic dinosaurs (Tyrannosaurus, Triceratops and so on), and to the worthy history of North American palaeontological discoveries, this is crap. Dinosaurs are no more American than they are Patagonian, Nigerian or French. Or at least that’s the politically correct version. Reality is rather different: dinosaurs are in fact British, and – what’s more – specifically English, having been discovered in England by English scientists working on English fossils. Ok, lest some flag-waving patriot of any nation gets offended by this, let me assure you that this is all tongue-in-cheek and not to be taken seriously. Dinosaurs no more ‘belong’ to any country than do rodents or grasshoppers. England has a rich dinosaur record, and many of the taxa first named from English rocks (e.g., Hypsilophodon, Cetiosaurus, Baryonyx) have proved globally important in terms of what they’ve told us about dinosaur evolution and diversity. Furthermore, these taxa and others (e.g., Scelidosaurus, Mantellisaurus, Neovenator) are represented by excellent remains that sometimes consist of near-complete skeletons. Also noteworthy is that English dinosaurs span most of the Mesozoic, from the Upper Triassic to about the middle of the Cretaceous (there is no dinosaur-bearing Upper Cretaceous in England). So as a gross generalisation of the worse kind, England’s dinosaur record is ‘good’. Partly because the study of dinosaurs began in England, there is an extensive and voluminous literature on scrappy English dinosaur fossils. Furthermore, these early finds were usually given binomial names, but as our knowledge of these animals has improved, it is understandable that many of these remains are today considered inadequate in terms of establishing taxonomic validity. Ideas on British taxa were sometimes revised several or many times as knowledge improved, and the results are convoluted synonymy lists. As I’ve now mentioned several times on this blog, a major effort to review this mess has recently been produced by Dave Martill and myself, and is currently in press for a special bicentennial issue of Journal of the Geological Society. More on that when it appears. In an unrelated project, Dave, I and Sarah Fielding recently reviewed the English dinosaurs of the Kimmeridge Clay Formation, and as it’s only recently been published (Martill et al. 2006) I figured I may as well blog about it. The Kimmeridge Clay Formation is an Upper Jurassic mudrock, deposited within a shallow marine environment, that crops out in a narrow strip from Dorset in the south-west to Yorkshire in the north-east. There are also a few outcrops in Scotland, and a contemporaneous equivalent that crops out in northern France. Like the older Oxford Clay Formation (go see Life in the Oxford Clay sea), the Kimmeridge Clay has yielded numerous ichthyosaurs, plesiosaurs, marine crocodyliforms and fish. Excepting the fish of course, those animals are all very interesting and worthy of discussion, but of more interest right now are the many dinosaurs that have also been discovered in the Kimmeridge Clay. 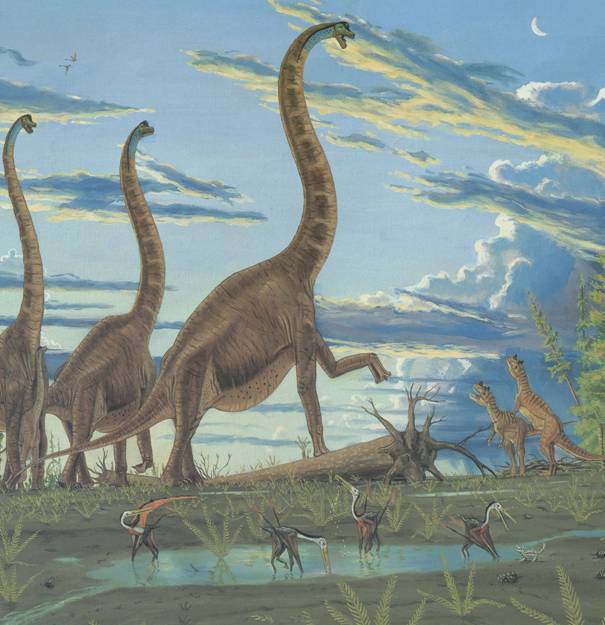 Why have so many dinosaurs been recovered from a geological unit deposited in a shallow sea? Despite the title of our paper, I don’t think this means much. The dinosaurs we find in these marine rocks don’t exhibit any features suggesting that they were aquatic or amphibious, and it appears most likely that the carcasses of the relevant species were washed out to sea on a fairly regular basis. This is well supported by the fact that other fossils, such as plants, and the sediments themselves, have clearly been derived from terrestrial sources. At a time when shallow seas covered the better part of the European continent, it makes sense that an unusually high number of terrestrial animals living on the archipelagos of the region found their way into the marine environment. Kimmeridge Clay dinosaurs belong to most of the major groups living in Europe during the Upper Jurassic. There were large and small theropods, several types of sauropod, herbivorous ornithopods, and both stegosaurs and ankylosaurs. Perhaps the most interesting of the Kimmeridge Clay sauropods was named by John Whittaker Hulke* in 1874. 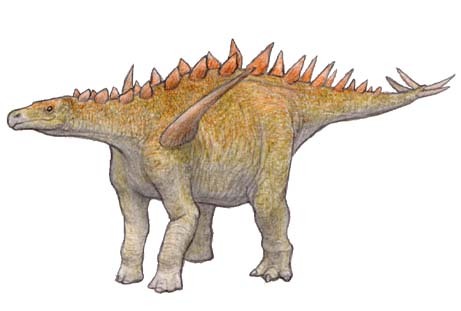 Based only on a big humerus (1.3 m long, though perhaps 1.7 m long when complete: see adjacent image) discovered at Weymouth, Hulke named it Ceteosaurus humero-cristatus: note that he used a spelling of the generic name that later fell out of favour (the original, and thus favoured, spelling is Cetiosaurus), and used a hyphen in the specific name (an action that is illegal under today’s nomenclatural rules). This animal is quite certainly not really a species of Cetiosaurus (hence the quote marks used from hereon), as it is highly different in detail from the humerus of Cetiosaurus oxoniensis, the type species of the genus (well, actually, C. oxoniensis is not yet the type species of the genus, but that’s a long and complex issue that I can’t go into right now). So what is it? 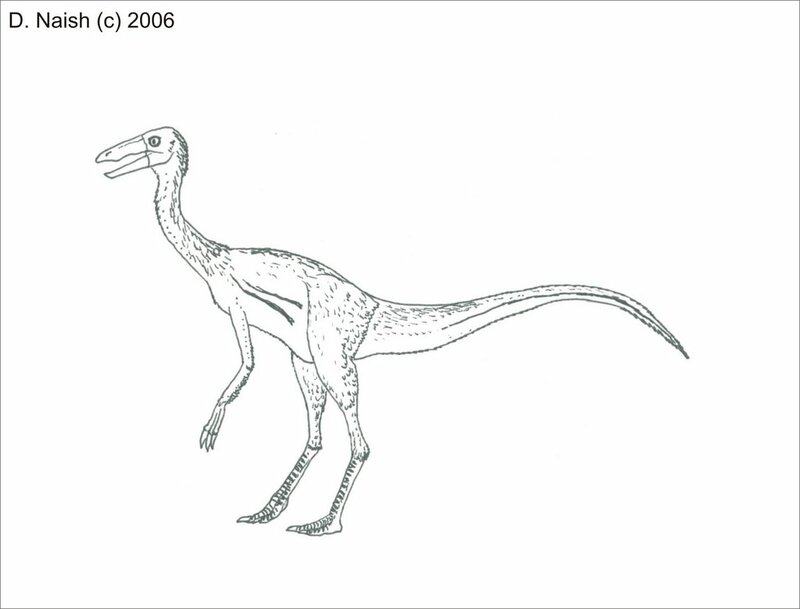 Its length, slender proportions and particularly prominent deltopectoral crest show that it is a brachiosaurid and, among brachiosaurids, its particularly long deltopectoral crest makes it unique and diagnosable. ‘C.’ humerocristatus is therefore one of those annoying fossil tetrapods that clearly needs a new name. So why doesn’t it have one? The problem is that most workers who encounter problems like this prefer to err on the side of hyper-conservatism (Peter Dodson’s advice is that ‘the practise of naming genera on [the basis of isolated remains] is a highly undesirable one, greatly to be discouraged’ (Dodson 1996, p. 240): for more on this subject see Cryptic dinosaur diversity). Some therefore opt not to name something that they themselves have said deserves a name. In their review of sauropod species referred to Cetiosaurus, Upchurch & Martin (2003) concluded that ‘C.’ humerocristatus ‘is regarded as a distinct taxon referable to the Brachiosauridae’ but went on to state that ‘[w]e prefer to wait for more complete material before proposing a new name for this taxon’ (p. 213). Similarly, Upchurch et al. (2004) regarded ‘C.’ humerocristatus as ‘a potentially distinct taxon … [but] it would be unsafe to erect a new generic name given the material available’ (p. 309). This perpetuates the cycle, and the taxon goes unnamed for even longer. I’m equally as guilty of this as are Upchurch and Martin: in an earlier draft of the Kimmeridge Clay manuscript, my co-authors did actually come up with a new generic name for ‘C.’ humerocristatus (it has to be said, a pretty awful one), but I managed to get it removed. While I think it would be useful if this apparently diagnostic brachiosaur were named, I guess I’m bowing to peer pressure. Presumably, ‘C.’ humerocristatus was built much like better-known brachiosaurids (such as Brachiosaurus: adjacent image is Greg Paul’s old restoration of Brachiosaurus with Ceratosaurus and pterosaurs), but it was surely different in various of its details. A few additional bones have been suggested to belong to it, but there’s no way of knowing whether these really do belong to the same animal as the diagnostic humerus. * One of the most prolific dinosaur workers in England during the latter half of the 19th century, Hulke (1830-1895) was a renowned ophthalmologist and firm ally of Huxley. Elected Fellow of the Geological Society of London in 1868, he was President by 1887 and, later, Foreign Secretary. Hulke was elected to the Royal Society for his work on the retina and received the Wollaston Medal in 1887. Research on prehistoric reptiles was only his hobby, but he published multiple papers on them, with 25 appearing in the Quarterly Journal of the Geological Society of London alone. Various other sauropod remains have been reported from the Kimmeridge Clay. ‘Ornithopsis’ manseli was named in 1888 for another isolated humerus, and again it appears to be from a brachiosaurid. In fact it might be the same animal as ‘C.’ humerocristatus. Yet again it was originally placed in an inappropriate genus: Ornithopsis is a Lower Cretaceous sauropod (first named for dorsal vertebrae), and there’s no reason at all to think that an Upper Jurassic humerus should be referred to a genus based on Cretaceous vertebrae. Then there’s Bothriospondylus suffossus, based on vertebrae. Often regarded as a brachiosaurid, its remains are not diagnostic, nor is there any reason to think that they belong to a brachiosaurid, nor even to a macronarian (Macronaria is the sauropod clade that includes brachiosaurids and titanosaurs). Because Bothriospondylus was named early in the scientific discovery of sauropods (in 1875), it quickly became a sort of ‘waste-basket’ taxon to which sauropod remains from all over the world were referred. 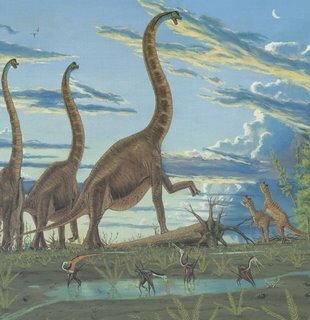 Thus, various Cretaceous sauropod remains from England, as well as remains from the Middle Jurassic of Madagascar and the Upper Jurassic of France, have been identified (erroneously) as Bothriospondylus. Incidentally, the specific name of the type species of this genus is conventionally spelt incorrectly, with it usually being written ‘suffosus’. On naming the species in 1875, Richard Owen used both double f and double s, but most authors seem to have missed this for some reason. Only a few theropods (predatory dinosaurs) have been reported from the Kimmeridge Clay, and two of them are particularly interesting. The first is interesting because it’s both reasonably well represented (its remains include vertebrae from all parts of the column, pelvic and hind-limb elements), and something new. It’s some kind of peculiar, gracile tetanuran, and is due to be studied as part of a larger project on Jurassic theropods. The second specimen is considerably less impressive, consisting only of two phalanges from the foot. Discovered at Fleet in Dorset, they are presently part of a private collection. What makes them particularly interesting is the fact that they’ve been identified as belong to an ornithomimid (Brokenshire & Clarke 1993): a theropod clade (often known as ostrich dinosaurs) otherwise restricted to the Cretaceous. If the identification is correct, the history of this group would be extended considerably. However, an identification this precise, given that the material consists only of worn, isolated toe bones, is problematic and there is little reason to think that it is correct. The bones do superficially resemble the toe bones of ornithomimids, but they superficially resemble the toe bones of many other theropods as well. Consequently they are better identified as Theropoda indet. (Martill et al. 2006). That’ll do for now. Of course there are also the ornithischians: anachronistic ornithopods and pliosaur chew-toys. More on them in the near future. Remember to keep checking for new Christmas cards. Seasons greetings to all - I don’t think I’ll get the chance to do any blogging between now and the new year. A pdf of Martill et al. (2006) is available should anyone want it (email me: eotyrannus at gmail dot com). Brokenshire, A. J. and Clarke, J. B. 1993. Important recently collected dinosaurian remains from the Lower Kimmeridge Clay at Weymouth. Proceedings of the Dorset Natural History and Archaeological Society 115, 177-178. Martill, D. M., Naish, D. & Earland, S. 2006. 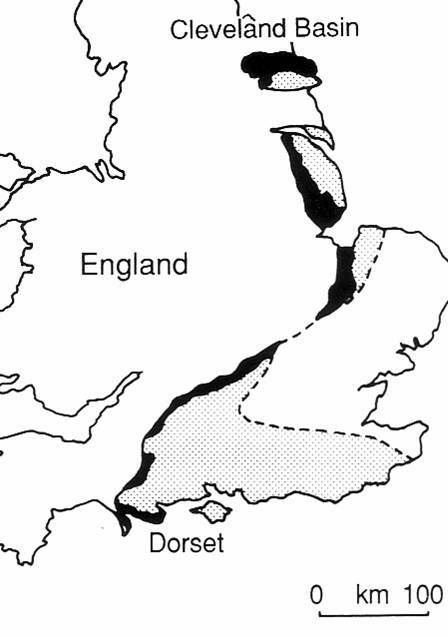 Dinosaurs in marine strata: evidence from the British Jurassic, including a review of the allochthonous vertebrate assemblage from the marine Kimmeridge Clay Formation (Upper Jurassic) of Great Britain. In Colectivo Arqueológico-Paleontológico Salense (ed) Actas de las III Jornadas sobre Dinosaurios y su Entorno. Salas de los Infantes (Burgos, España), pp. 47-83. That's a fair enough comment. Initially the article was going to cover all the Kimmeridge Clay dinosaurs, but in the end I had to split it into two parts. Part I (here) is the saurischians.. ornithischians are yet to come. Stay tuned.